It's that time of year! The time we make their summer uniforms! 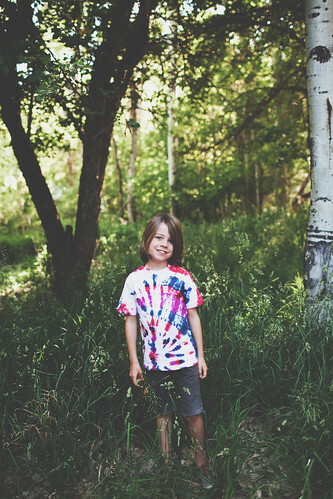 These two LIVE in their tie-dye all summer long. 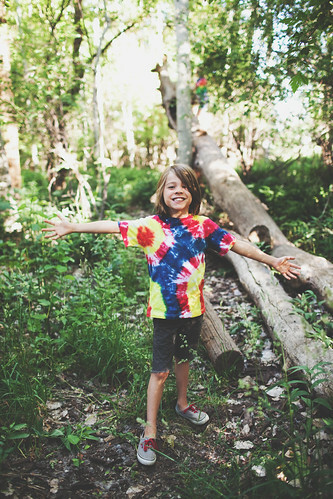 They play/camp/sleep/roll in the dirt/swim/hike/you name it in these shirts. And they really are the perfect summer shirt--they hide every popsicle drip/s'more smear/mud bomb....no one knows! 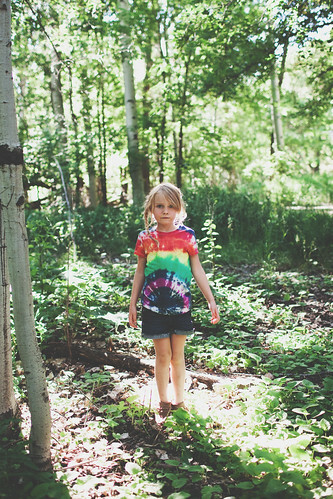 Two years ago we tie dyed for the first time--you can see my basic tutorial HERE. We have upped our game a little since then and this year we played around with some new designs. -Your shirts should be damp. I always throw them in a wash cycle so all the extra water is spun out. -Unwrap them, cut the rubber bands off, and give them a quick rinse in the tub to get some of the excess dye out. -Put your washer on it's largest setting (warm water) and a little bit of laundry soap. (Keep separate from your other laundry!). Wash and dry as you normally would. 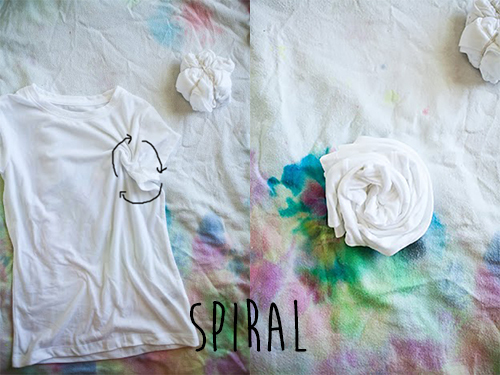 To make a spiral you pinch the shirt (anywhere!) and turn turn turn until it's all wrapped up. You then section it off with 3 rubber bands so you have SIX sections--like six pieces of pie. You'll then color each section (both sides) with a different color of dye. 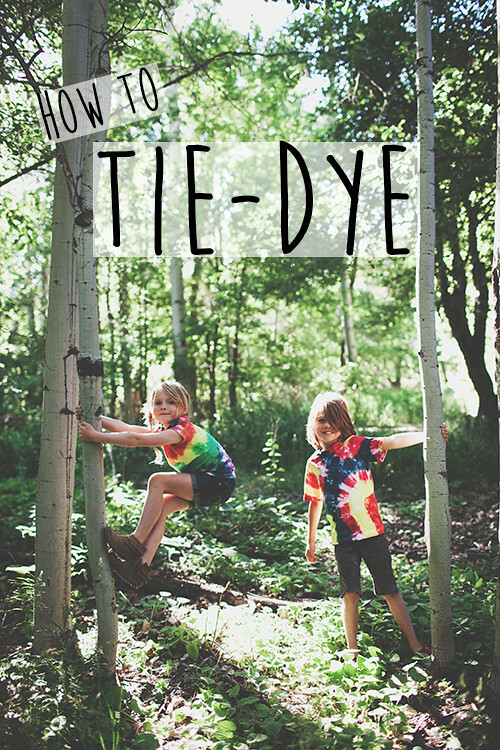 TIP: Use LOTS of dye. Saturate the fabric all the way through so your colors come out bold. TIP: Make your rubber bands as tight as you absolutely can! 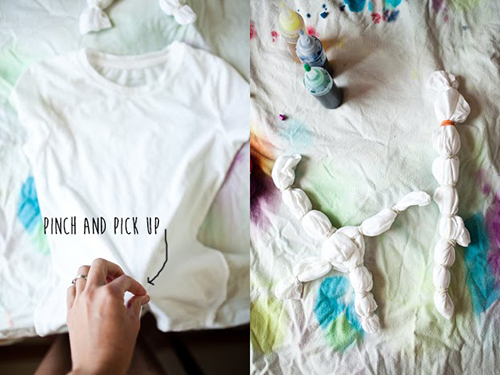 TIP: Use an old white shirt. Lucy had to have a white shirt for a program at school and it only took a few times wearing it before it was dotted with stains and splotches....so we dyed right over it! TIP: Mix colors right on the shirt. There are kits with 10 or more colors, but they usually cost more. Our kit this time didn't have orange, so I just put red AND yellow on the same section. TIP: Let kids be kids! If you see my kids this summer, they will most likely be in one of these shirts. Would I like them to wear something else sometime? Yes. But really, who cares! As long as they are happy. In the past few years, thanks to Mr. Internet, kids seemed to have become more of an accessory for mom--always perfectly put together and ready for a photo op. 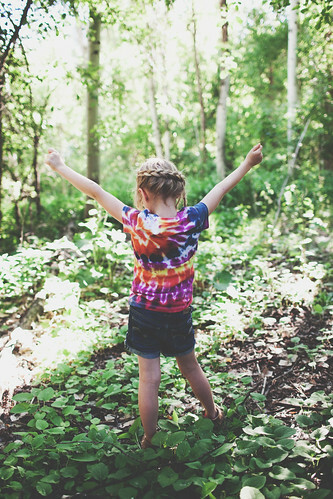 Come on mom--let loose a little bit and let your kids be comfortable and happy this summer. He wanted to add a little purple in with the red and blue. Leave one section white in your spiral. She wanted blue above and underneath her "rainbow". I think leaving it white would be cute too. Instead of twisting for the spiral right in the middle of the shirt, we went up top and to the side for a new design. Instead of pinching in just one spot--he picked four! 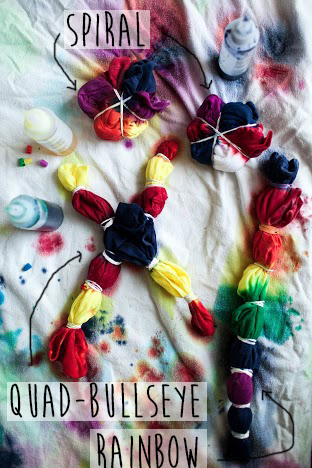 You can find tie dye kits at any craft store. I liked the Tulip because it came with dye IN the bottles, and then an extra dye packet of each color. Unless you are dying bunches of shirts and using up all the dye at once, I've found that after it's mixed, it doesn't keep well. I tried to use it a month later and the colors were very faded. So I liked that the dye came divided up so we could save it for later. I have left you hanging for way too long! 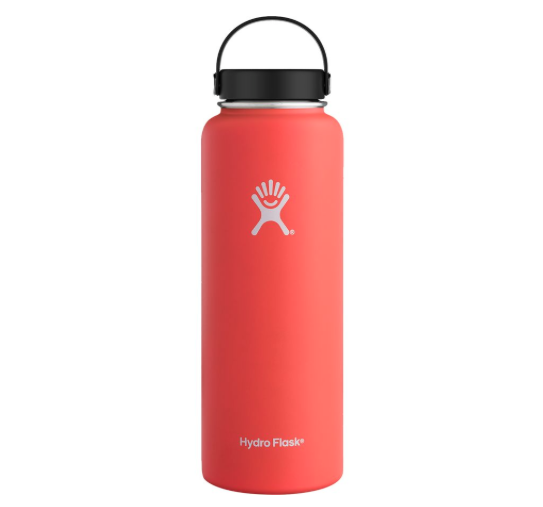 My Little Red House Essentials list is finally up to date for summer! 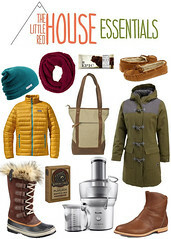 Come check out my favorite (tried and true!) gear. 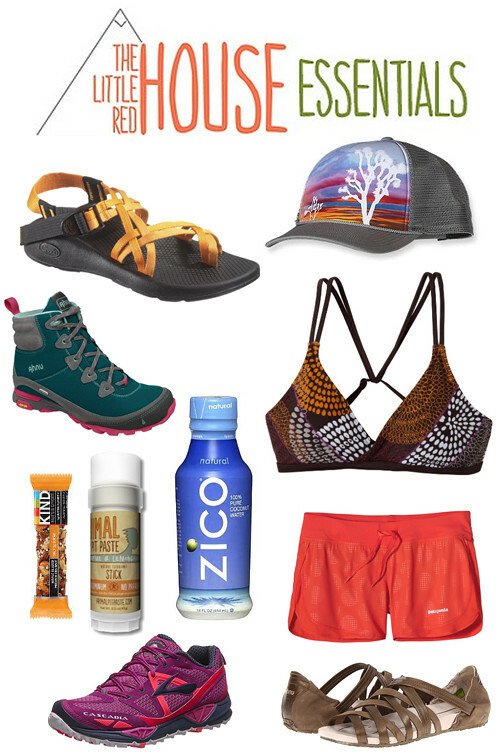 Everything from running, favorite beauty products, and just day to day must haves. Last week I loaded up the kids in the car and made the journey up to Montana.....aaaahhhh.....home sweet home. Robby had to stay back for work (borrrrrrring), but I decided to go anyway--you can't NOT go to Montana in the summer time. 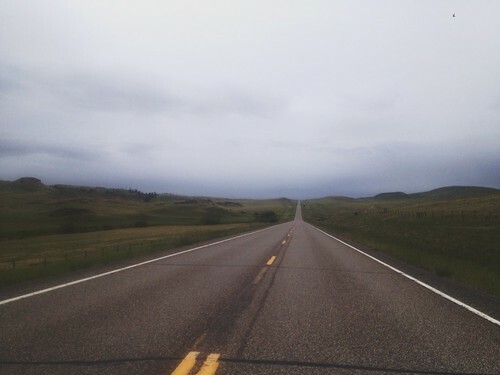 The road home is a long one--a straight shot through the potato fields of Idaho, a windy ride through the plains, over the mountains, [insert summer rain storm], then plains again [watch out for deer! ]....and then I'm home. I love to drive--it's a time to enjoy the changing scenery and familiar paths, and an opportunity to sift through all the thoughts I am constantly thinking, yet never find enough time to give them the attention they need. 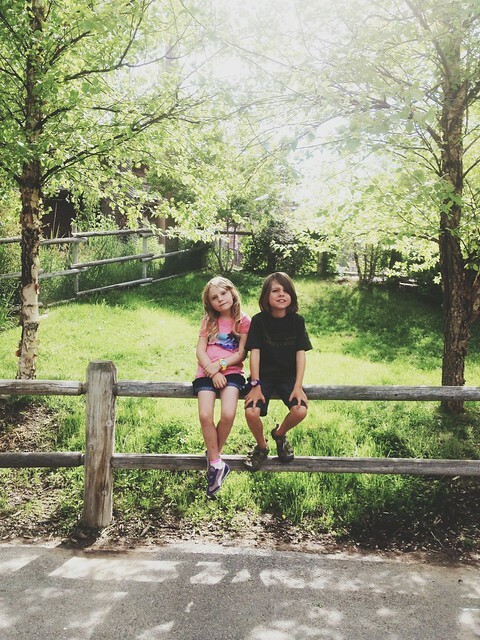 Lately I have been thinking a lot about these two tiny humans Robby and I are raising. Within the last little while they have quickly grown from my babies, into amazing little people who are smart and active and funny and always eager to learn something new. I don't know how I was so blessed to be chosen to be their keeper, but I am trying not to take the job lightly. It is up to ME as their mother to fill their childhood with good memories, and also teach them important lessons about life. we may be more concerned with how we appear to be, and don't concentrate enough on who we really ARE. I used worry that too many kids would have too many memories of mom and dad glued to their phone, but then I wonder if the kids are even paying attention--they too are locked and focused on some sort of glowing screen. Why is this our world? Contradictory, I realize, since I type this atop my lap from my own glowing box, and you are reading it from yours. But where is the balance? We seem to be leaning heavier and heavier towards the technology side of the scale, and it's eating up our kids' time to "just be kids". a-a-hem, so where were we going with this? 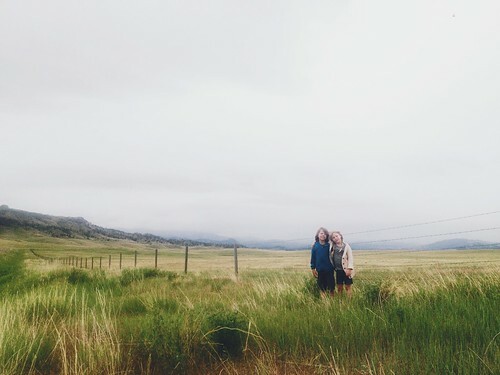 We were going to Montana. I've decided that summer is the absolute best time to learn about all the finer things in life. We are unscheduled, we play, we have the time to do the things that make us most happy. So I'm going to share our life lessons with YOU. Maybe you can apply them to your life--even if you don't have children--these are sure to fill your summer with good times and memories. You will find us using our imaginations, exploring, spending quality time together, and doing most of these things away from electrical outlets and cell phone service. one of life's most important. We love ice cream. 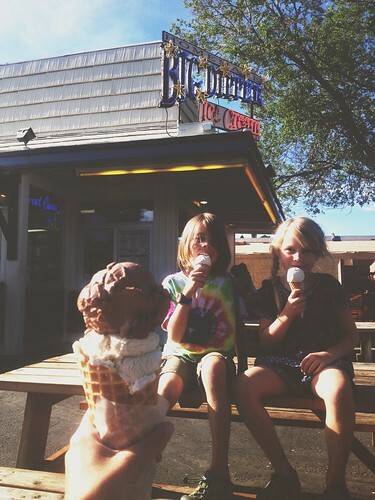 As a family we seek out the BEST ice cream little towns have to offer as we travel the west. We want freshly made, unique flavors, and the smell of warm waffle cones floating through the air (the smell, not the cones.) We want to order at the window and then sit in the sunshine as we lick. Now I realize this is not possible for everyone. Some of you are lucky enough to live where you grew up, so you are always "home". Robby and I live far from our childhood days but we love to go back and visit, and share our best and favorite memories with our kiddos. They LOVE to hear about things we did, places we played, and think it's funny to try and imagine us (because we are so old and dusty) as little kids too. The house we are in right now has no trees....well....we have a sad excuse for an apple....bush? This is hard for me--I grew up with trees on trees. 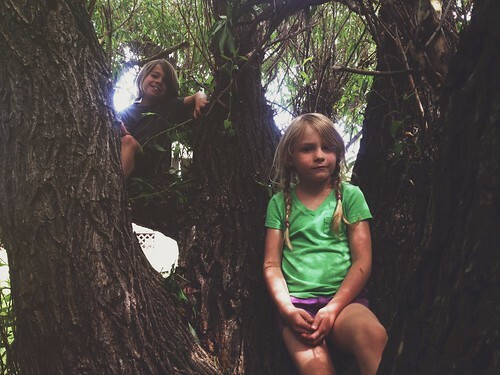 When I was little my sister and I would skip two houses down and we spent our summers in our friends' giant willow. Swinging, climbing, crashing down from up high with giant branches landing on our heads (all part of the tree climbing experience). So my kids LOVE going to grandmas where they can be monkeys. They were so excited to show me their fort--"it has a couch, a bed, a fireplace, a table and a roof." It had some piles of sticks scattered around, and a heavy dose of imagination. But they were in heaven. 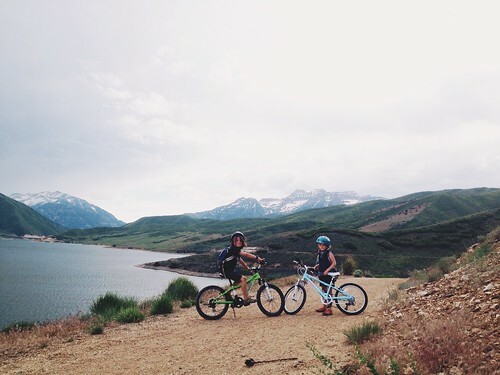 Put your kids in the car (or your dogs, or yourself, or whoever) and just GO. The road is so liberating, and I get antsy for a good drive if it's been a while. But your kids--your KIDS are the ones who need this. They need a change of scenery, they need to look out the window and see things that are different from where they live. They need to see new people and know that the there is a world outside their bubble. I am not at all a well traveled person--I have never left these western states, but I feel like I've been able to see so much because we DRIVE everywhere. 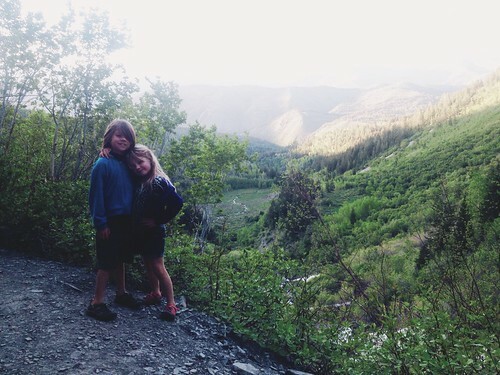 And my kids started road tripping when they were just wee little babes so they have grown into the best travelers. When they were little little--3-4-5, I'll admit that DVDs saved us, but they hardly even watch a movie anymore. This last trip was 9 hours and they spent every minute with books and notebooks and just talking about what we were seeing.....it was so much fun (mostly, see next sentence). And as a parent--you really need to hear yourself yell things like "STOP TOUCHING EACH OTHER" and "STOP IT RIGHT NOW OR I'M TURING AROUND." Those things actually came out of my mouth, straight from my own mom and dad's mouth, and it made me giggle. Your kids need to experience filthy truck stops, a bag of M&Ms for the road, bathroom breaks next to the car with the wind blowing 100mph, and sitting so long they say things like "my legs have been sleeping for too long!" I'm excited to add more as we dive into summer, and encourage you all to live with a little less technology these next few months. 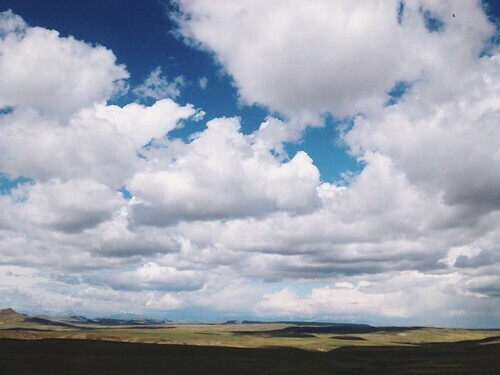 all photos taken with my phone.....I was really regretting not having my big camera with me when those big puffy clouds rolled in. the Mexican chocolate and salted caramel did not disappoint. The kids have been out of school for a whole week now......and it's been the best! I have never been so excited for summer to arrive as I was this year, and the last few weeks of school seemed to craaawwwllll by, impossibly slow. This is the first year that both kids were in school all day long (sad, right? ), and even though I kept extra busy with my own school schedule, I just MISSED them. I have been counting down days until they are home all day to play with me. 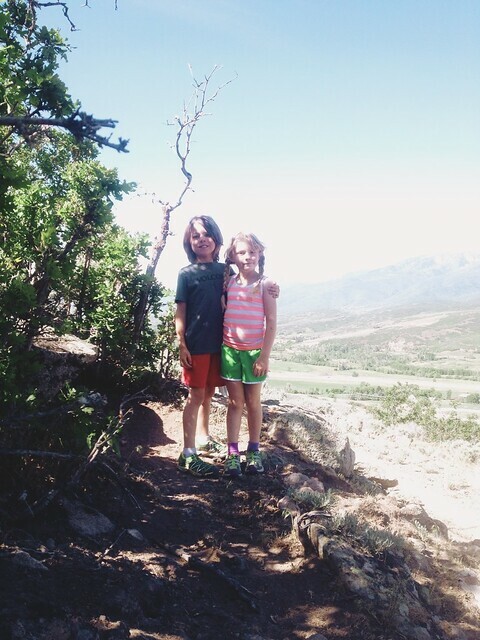 Yes, they are my kids....but they are also my two bestest little friends. It's crazy to me that it feels like just yesterday they were babies (cliche, I know....but so true) but at this age we have so much fun together--and they really can do anything with Robby and I. We stay up late and they sneak into bed with me in the morning. They like to make their own breakfast and will even make it for me too. We hit the library, the farmer's market, and they help me grocery shop. For all you moms with little babes who can't WAIT to shop alone......it's way more fun having little helpers, I promise. So happy summer is finally here! 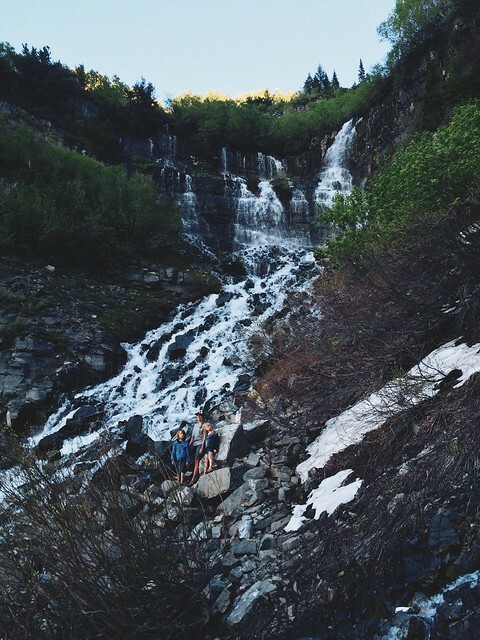 A Sunday drive to watch the sunset.....that turned into wandering around the forest and a climb up to some waterfalls. We stayed out late and got home long after dark.....but who cares! no school! I was looking back at old posts and came across this photo.....3 years ago--they are so little! 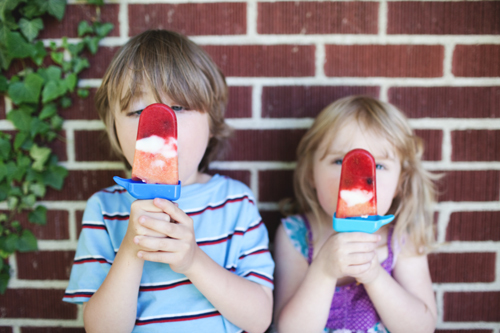 We are going to whip up some fruit popsicles soon--just blended fresh fruit and yogurt--so easy and perfect for the summer heat. 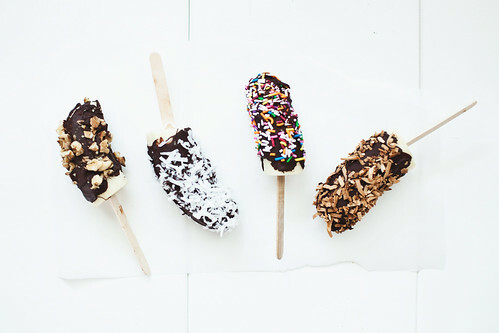 all you need is bananas, dark or milk chocolate to melt (I'm going to add a little coconut oil to the chocolate this time) popsicle sticks, and your favorite toppings. Hello! Long time! Remember in my last post how we were waiting on summer??? Well it's HERE! The kids are finally out of school and we've been playing and planting and soaking up the sun. I ended up following the Whole 30 program 100% for 13 days.....way longer than I had planned on, but I honestly loved coming up with new meal ideas each day. We were eating more vegetables than ever before, and because of that, I loved it. It was so much meat. We normally only eat meat (whether that be chicken, beef, or fish) a couple times a week TOTAL--we eat a lot of meatless meals. Without beans and whole grains, we were eating more meat than I was used to and it was just too much for me. And....I was struggling on my runs. I am a giant bowl of oatmeal/fruit/nuts/seeds kinda girl before I run. And every single step of every mile on every run I felt so heavy, tired, and not at all myself. 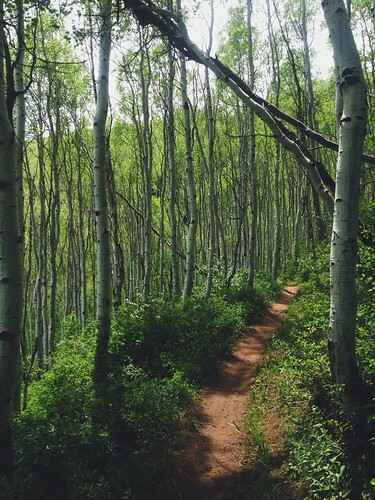 I was starting to dread my time on the trail and I knew something had to change. I had my giant bowl of oats one morning before I took off and I was a new person--back to myself flying through the trees. See ya later Whole 30. I had read so many stories of athletes who found great success while on Whole 30, but for ME and MY body, it just wasn't working. take what works for YOU, and get rid of what doesn't. 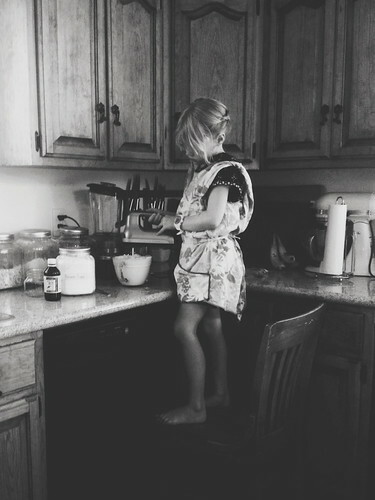 Last year I wrote THIS post on "eating well", and I really think that's the best plan for my family....you know....just eating food. Real food. Whole food. A treat here and there. And not stressing over it. I still loved the book--it taught me so much ,and I feel like in just the 13 days I was able to reset my "hunger clock"--I now wake up hungry in the morning (which is how it's supposed to be!) I know the importance of getting good bacteria into my gut, but this book was a great reminder, and also good at explaining WHY it is so important. I'm back on a probiotic routine, I added in some enzymes, and treat myself to a Kombucha every now and then. We are still eating veggies non stop, I've come up with so many new meal ideas that are vegetable centered. And we will still eat treats....(hooray!) My Lu turned 7 last week (gasp!) and we celebrated with banana splits....and she made the whipped cream. Here is a veggie loaded salad that we had last night and I can't wait until I get to eat the leftovers this afternoon. I got the idea from Smitten Kitchen , and tweaked it with what I had. In her salad, the meat and cheese (she used provolone) are a major part of the dish, I made them more of a garnish. 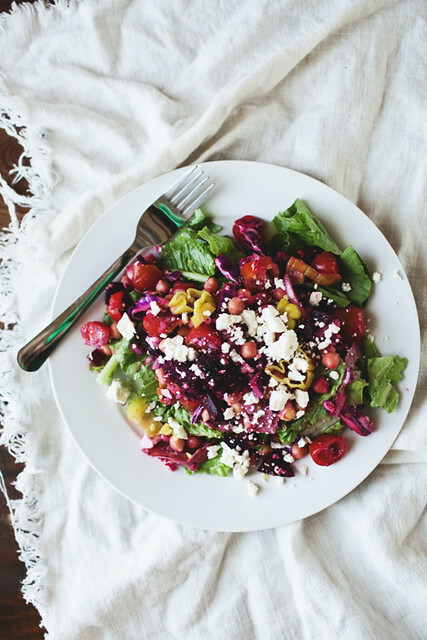 I added cabbage and beets (which turned the entire salad pink!) and used romaine instead of iceberg. To put together salad, I combined all the ingredients EXCEPT the romaine, added the dressing and tossed until everything was coated. This way I could keep the leftovers without the lettuce getting soggy. I added chopped romaine to our plates and then added the [very pink] veggies and dressing to the top.